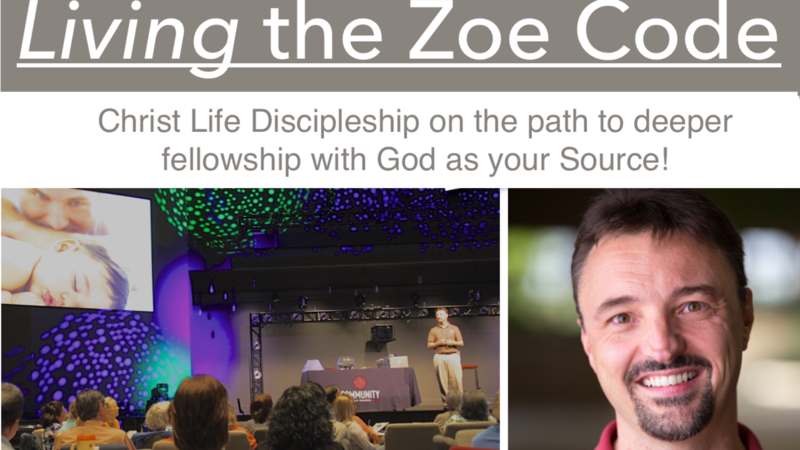 Christ Life Discipleship - Living the Zoe Code! This is THE foundational course for knowing the Life we are designed for with God and what that looks like as we walk by faith in Christ. In this easy-to-follow, 13-lesson course, complete with study questions and application, Mike shares from the whole Bible - from the Garden of Eden to living out our identity by grace through faith. Each lesson is about 30 minutes (or less) with a handful of discussion questions perfect for personal reflection, discussion groups, and application for the days ahead. Register for the course TODAY, and the course opens Monday, 4/25/16 for you to watch whenever you like. If you are leading a group - we have one-time purchase options for your group and would LOVE to help you with additional support and instructional videos. Just email [email protected] for more info! This 13-week course covers the design, struggles, and fulfillment of our life and identity by grace through faith in Jesus Christ. Mike unpacks the Life breathed into Adam, lost at the Fall, unattainable by the law, restored at the Cross, breathed upon the disciples anew in the upper room, delivered at Pentecost, and lived out by faith in our identity as saints and children of a Holy God. 13 individual lesson videos with study questions perfect for individual reflection or group discussion, this course completely unpacks the truth of Colossians 3:3 - "For you died, and your Life (Zoé) is hidden (Code) in Christ with God." Learn to live from there, in Him, and all His fulness yours by grace. Learn the Zoe Code! For those leading a group or who want to faciliate a discussion group, Mike will provide an additional instructional video at no charge with tips on facilitating this study, a discount for the videos for you as a leader, AS WELL AS a one-time $15 access opportunity for every member of your group to watch all the videos and download all the discussion quesitons for each study. Simply email [email protected] and mention wanting to LEAD a group thorugh "Living the Zoe Code" for the discounts and coupons for your group members!